From hailing a cab to book a table at your favorite restaurant. We have an app for almost everything. People’s growing reliance on apps for completing routine tasks, searching stuff, and even shopping compels the companies to bring a customized mobile app solution. But then, it is difficult to face the growing competition for newcomers in the world of mobile apps. As an entrepreneur, you can consult a reputed mobile application development company to get an innovative business app. The development company can use the emerging technologies like IoT, AR, and VR, and upcoming app development trends to meet your app objectives while keeping your app ahead of the curve. Here we give a list of the hottest mobile app development trends that can benefit your business. Personalized user experience holds a key to success for any mobile app. The futuristic technologies can help the app development company customize the app for offering a personalized experience. App personalization is going to be one of the biggest app development trends. We can expect that apart from eCommerce companies, other companies will also come up with mobile apps with user-friendly features and personalized experience. Such features can attract new customers and retain the existing ones on your app. In a way, you can build a loyal customer base. These days, global eCommerce giants like Amazon and eBay have integrated the app personalization trend. Have you heard of motion and location sensing? Well, this is another major trend to watch for an enterprise-grade app in 2019. Nowadays, smartphones are equipped with various sensors like the gyroscope, accelerometer, and magnetometer, to record the motion or movement of the users. Now, mobile apps can also have features based on these sensors. Such motion-sensing apps can readily tackle issues like theft, power-saving, and security. Another type is location-driven apps which are based on GPS and geo tagging functionality. 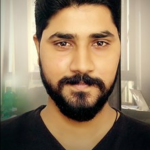 Such apps can be used by fitness and logistics industries. Uber and Lyft are a few of the examples of location apps. In brief, mobile apps with motion and location sensing will prevail in the year 2019. Security concerns loom large amid growing incidents of data theft worldwide. As the mobile app always remains a soft target for the hackers, it is necessary to keep its security in focus. Also, people tend to access and share critical data through apps. Therefore, it is better to ensure the safety of critical information and the user’s personal details. Also, the apps are increasingly used as a mobile wallet and there is a need to ensure a secure and swift transaction through an app. There, the blockchain technology lends a helping hand. In the coming years, we will see more banking and finance-services related apps will integrate the Blockchain-related features. In-app search feature becomes a new norm for more people use apps for searching online. This feature makes the search quick, simple, and easy for the users. The techno-savvy app users want everything in their app. In other words, a multipurpose app that can perform various functions at once is in demand and the in-app search feature can serve this objective smartly. Apps like Spotify and YouTube have already integrated this feature. In the coming years, we will see more advanced search functionality in the app to provide a rich user experience. Innovation is not limited to the app development process. A pleasant user experience requires appealing UX design and seamless performance. The content-rich app requires an appealing app design to engage the users. Today, we witness a surge in the number of apps in both Google Play and the Apple App Store. It has given rise to intense competition among apps. There, a business app with a user-focused design can make a difference. Interactive interface and intuitive designs can make the apps successful. Instagram and Pinterest are a few of the apps that have gained ground globally with excellent UX design. Google has launched Instant Apps back in 2016, but the year 2019 is going to be a milestone year for instant app development. NYT Crossword and Buzzfeed have already launched instant apps. We can give two reasons for the prediction- Instant Apps will prevail in the future. These benefits can gain a lot of attention to the app users in coming time. Such apps can offer the seamless user experience and businesses can consider it as an effective tool. That’s not all. We can mention other trends as well. In the year 2019 and beyond, the AR and VR technologies will make a huge impact on the app development process. Google has introduced ARCore and Apple has brought ARKit to help developers offer augmented reality experience. Industry sectors like healthcare, retail, and manufacturing will remain the biggest beneficiaries of Augmented Reality app development. iBeacons can work wonders in the brick-and-mortar retail business. iBeacon app offers user-friendly features on the basis of the user’s proximity. The iBeacon technology is capable of promoting business through sending real-time information to the users that include virtual guides and other material. IT Pro Portal report has predicted that global mobile payments will reach $1200 billion in 2021. Looking at the paradigm shift from laptop-based payments to mobile-based payments, this figure looks achievable. Even Google and Apple have introduced Google Pay and Apple Pay respectively to promote mobile payment. All these trends are capable of bringing radical changes in the mobile app development process. 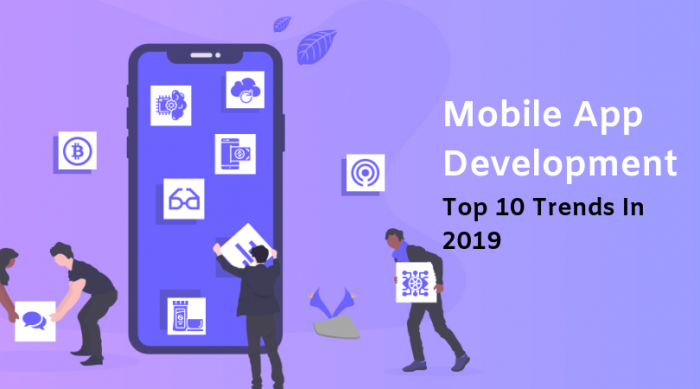 We can expect that mobile app development companies will embrace these trends in 2019 and bring enterprise-grade, futuristic app solutions to address complex business processes. It is interesting to see how these trends are going to impact the app development process in the future. As a leading mobile application development company, we build customized mobile apps for global corporate clients. You can hire mobile app developers to get the next-gen app solutions in a cost-effective way.